This refillable hookah pen comes with a CE4 Clearomizer and a Large 650 Mah Battery for an extended battery life. Loving the new disposable hookah pens but looking for something even more economical? 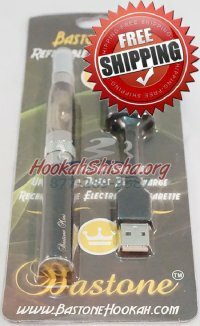 Check out the Refillable Hookah Pens, This Refillable Rechargeable Hookah Pen allows you to buy a hookah liquid for only $7.99 and continue to refill your hookah pen without having to buy new ones. The vapor clouds are large because of the bigger batteries, and the taste is even more explosive! Each liquid bottle is equivalent to about 6-10 hookah pens, depending upon your vaping style (size of puffs, how often you vape, etc). 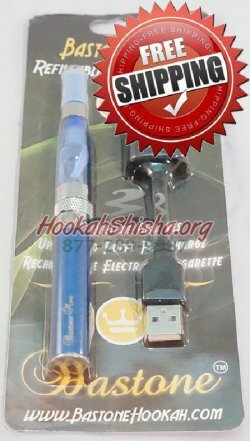 This refillable hookah pen comes with a CE4 Clearomizer and a Large 650 Mah Battery for an extended battery life. Loving the new disposable hookah pens but looking for something even more economical? Check out the Refillable Hookah Pens, This Refillable Rechargeable Hookah Pen allows you to buy a hookah liquid for only $7.99 and continue to refill your hookah pen without having to buy new ones. The vapor clouds are large because of the bigger batteries, and the taste is even more explosive! Each liquid bottle is equivalent to about 6-10 hookah pens, depending upon your vaping style (size of puffs, how often you vape, etc). 1 12 ML Liquid is Equal to about 8 hookah sticks. With this set receive: 1 Battery 1 CE5 Clearomizer 1 USB charger What is a Refillable Hookah Pen? 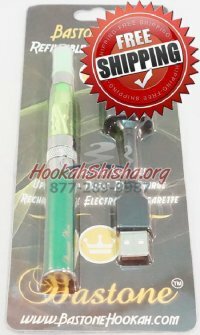 Possibly the most economical way of vaping (smoking) there is, with the rechargeable hookah stick you can place whichever Hookah fruit flavor liquid(s) you would like into the clearomizer,(the clear tube atop the battery used to hold and vaporize the liquid placed inside it). Refillable hookah pens are filled with any type of vapor liquid, namely the FDA approved Bastone Hookah Liquid. A bottle of hookah liquid costs as little as $7 when buying a 3 pack of hookah juice. Instructions do come with the item, however if you would like to look at instructions click here With this unit, the vapor is like smoking a Regular Hookah, with larger volumes of vapor, you will love it, especially when mixing flavors into the cartomizer (clearomizer).